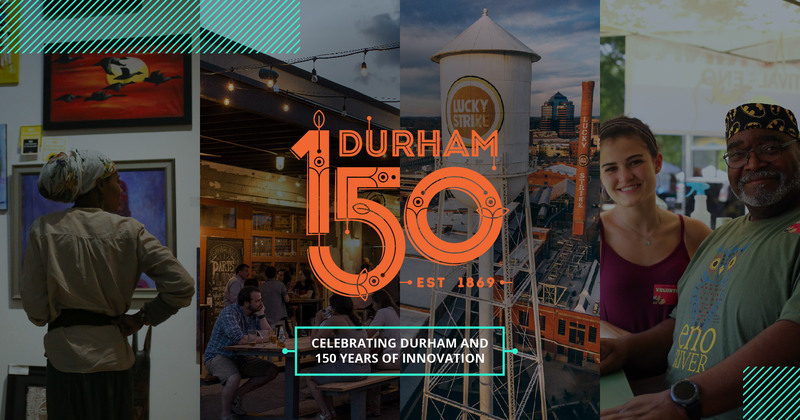 The Durham 150 year of celebration is supported by the City of Durham, Discover Durham, Museum of Durham History, and the generous contributions of Durham residents, businesses, and organizations. The mission of Durham’s sesquicentennial is to recognize Durham’s past, present, and future with a year of events, activities, and community engagement, to build awareness and anticipation both locally and nationally for Durham’s rich history and highly promising future, and to celebrate the community’s spirit, values, and accomplishments. Grant applications are due May 15, 2019. The review process will take six weeks after the deadline. The committee is placing emphasis on events and projects under the Innovation and Entrepreneurship, as well as the Social Equity and Robust Democracy themes to ensure equity of funding across all themes is met. Please write your responses in a word processor, then copy and paste them into this form just in case the application does not process properly.